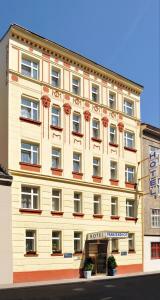 Family-run for 30 years, Hotel Franzenshof is a 5-minute walk from the Prater amusement park in Vienna’s 2nd district. The Taborstraße underground station is only 100 metres away. The Franzenshof’s bright rooms offer satellite TV and have a bathroom with a hairdryer. An internet terminal and a 24-hour bar can be found at Hotel Franzenshof. There is also a lockable bicycle storage room. St. Stephen’s Cathedral in the centre of Vienna can be reached in a 10-minute underground ride from the nearby Praterstern station.